Welcome to the home of Princeton University Sports Camps. Since the early 1990's Princeton University has been offering sport-specific camps for young athletes. Today, Princeton University hosts over 70 sports camps and clinics annually. All camps are held on the beautiful and historic campus, located in the heart of Princeton, New Jersey. Overnight campers reside in the University dormitories and enjoy meals in various dining facilities around campus. Each camp is directed by the Princeton University Varsity Coaches, with assistance from college coaches and players from around the country. 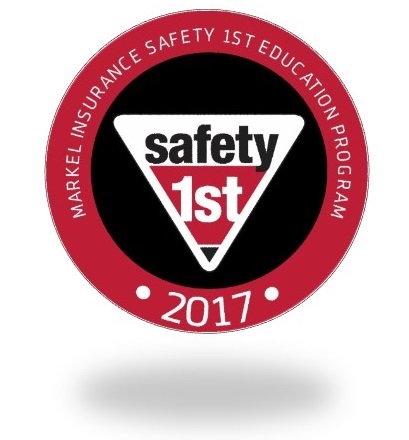 Released on 01/15/2018 - Princeton University Sports Camps has been recognized for the 10th consecutive year as a 2017 recipient of Markel's Safety 1st award. As safety continues to be an important topic each year during youth camps, Princeton University Sports Camps continues to make a strong effort to ensure that safety is addressed on a consistent basis for their campers and staff. To find out more information about this prestigious designation, including a copy of the press release, please click here. "Each year, Markel Specialty Commercial's Safety 1st program recognizes policyholders who have shown an exceptional commitment to the safety of their employees and customers. Camps and clubs must meet stringent criteria to qualify for the Safety 1st designation. They must have a proven safety record, undergo formal assessments and inspections, and participate in continuing education and certification programs. These facilities deserve to be recognized for keeping safety a top priority."